There is no doubt about it, Aussie gold stocks are surging and with many of Australia’s gold mines now locally owned and operated, mergers and acquisitions interest is on the rise . Which is good news for the junior players – especially those that are fully financed, and readying themselves for production. One stock that stands out has an imminent date for production start and its first gold pour. This company is next in line to join the ranks of the ASX’s gold producers – and it has the quickest payback for shareholders in terms of upfront cashflow. The timing of this move to production looks right, given the focus the market has recently had on high potential gold stocks. Here at the Next Mining Boom we’ve been following Blackham Resources (ASX:BLK) for almost one year now; and it would seem we’ve got our hands on one of the most intriguing junior gold plays currently out there. However at the same time, this is still a junior resources company and a speculative stock – it’s always a good idea to seek professional advice before choosing to invest in stocks like BLK. During the course of this past year, BLK has progressed its Matilda Gold Project to now stand on the precipice of gold production – this will happen in the coming months. We are witnessing BLK’s metamorphosis from a golden caterpillar full of potential into a butterfly ready for gold production. BLK has just finalised its much anticipated Definitive Feasibility Study (DFS) and improved its project economics in several key areas which means BLK are targeting 100,000oz of gold production by Q3 2016 – that’s a very rapid five months from the development decision. 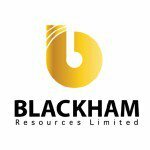 We have been watching Blackham Resources (ASX:BLK) for the last few years as it steadily amassed its gold resources in Australia’s chunkiest gold belt in the outback of Western Australia; and first brought the story to readers after BLK secured a $38.5MN funding deal that takes it through to production. Almost one year later, BLK has substantiated its ambitions by progressing its Matilda Gold Project mine plan to 8.3Mt @ 2.9g/t for 767,000oz for a 7 year initial mine life, with an annual production target of 100,000oz. 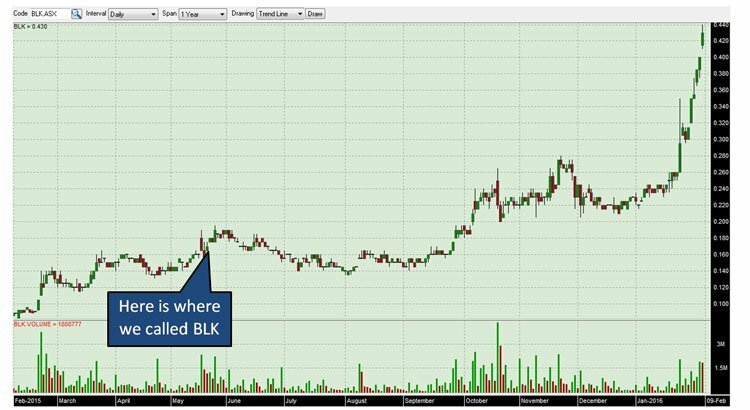 Let’s take a closer look at BLK’s case of becoming Australia’s next gold producer and how its DFS will drive its prospects as the company transitions from explorer to producer over the next 6 months. The above DFS results show that BLK is the most capital efficient, nearest term and quickest payback producer compared to any other Western Australian gold explorer. The bottom line is that BLK will be the next company that adds to WA’s gold exports when it commences gold production in Q3 2016 – that’s only 6 months away. The project economics behind Matilda is what’s driving BLK’s allure, and with very little further development required, BLK is on a clear path to production, and revenues. 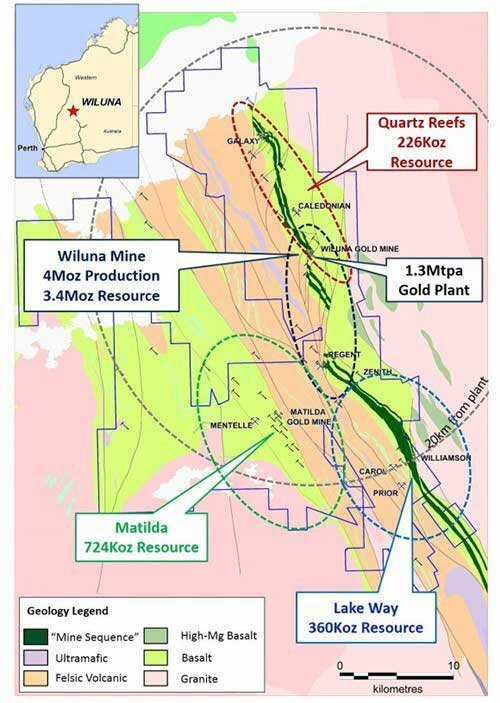 BLK already owns 100% of the Matilda Gold Project including the Wiluna gold plant, gas power station, camp, bore-fields and all underground infrastructure needed for production. In other words, it has all the tools for becoming Australia’s next gold producer – as we were quietly hoping for. 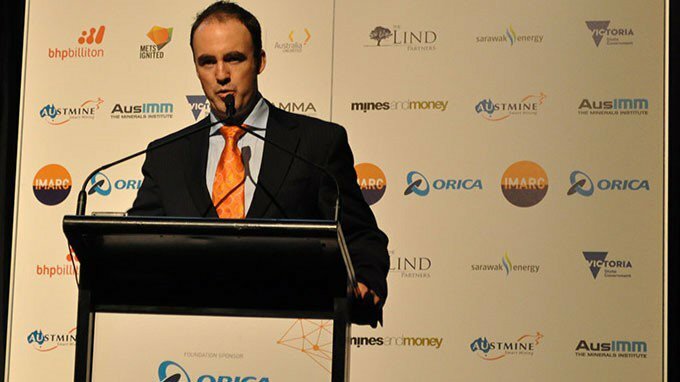 BLK’s flagship Project that’s currently grabbing all the headlines and raising its valuation is called the Matilda Gold Project, located in the richest gold belt in WA. 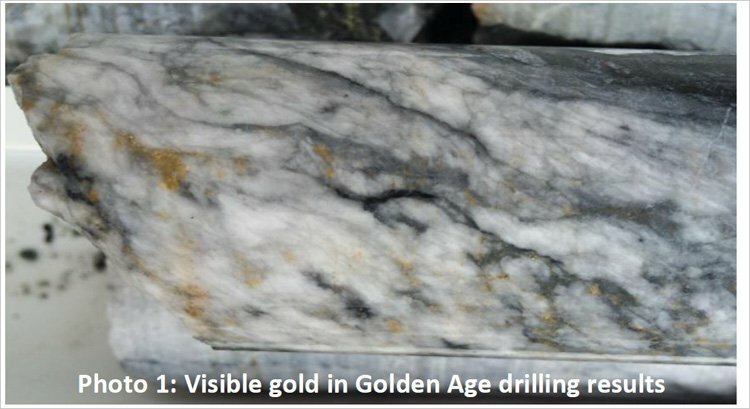 The Matilda Gold Project has historically produced 4.3Moz and has 4.7Moz of resources, with a peer-spanking 9 million ounce gold endowment. The Wiluna goldfield is the northern extension of the Norseman – Kalgoorlie – Wiluna gold belt which is the largest gold producing belt in Australia. All the mines in the area, including the closest, Jundee Mine – have much smaller gold endowments. But size is only one factor that sets BLK apart. This means BLK doesn’t need big upfront capital costs to move into production. ...and potentially more to come from other exploration sites such as Quartz Reefs and Lake Way. When it comes to resource size, BLK is clearly not done yet. During the DFS process, an additional 2.5 years was added to the mine life from the previous PFS as well as a 44% increase in inventory. For an aspiring gold producer that’s exactly what it wants to hear. ...and possibly provide a neat little catalyst sometime in the future. BLK’s cash, liquid investments, together, with the $23M undrawn debt facility with Orion Mine Finance provides enough capital to commence production. It is envisaged that further funds may be required to support an aggressive drilling campaign designed to add significant value to the project by increasing the oxide and free milling mine markedly. BLK will be operating a Fly In, Fly Out (FIFO) operation from Perth and conducting open-pit mining as planned at Matilda. The mined ore will be trucked to the Wiluna gold plant for processing. As part of the DFS, BLK’s rate of gold recovery from mined ore has also ticked up from 88% to 93% across the Matilda Project. When factoring in pre-production capital costs of around $32 million, BLK expects to hit around $234 million in cash flow and a net present value (NPV) of A$170 million. All in all, BLK is forecasting an EBITDA of $58MN and an IRR of 150%. For BLK’s investors, a payback estimate of 12 months underlines just how strong the project economics are. But what could really set the cat amongst the pigeons for BLK, is the prospective gold price which has been on a bit of a surge so far in 2016. In fact, gold priced in Australian dollars has risen as high as $1,781 this year – that’s a gain of 23% trough to peak. The strength of gold when priced in Australian dollars, could be the ace in the pack for BLK’s project economics as calculated in the DFS. 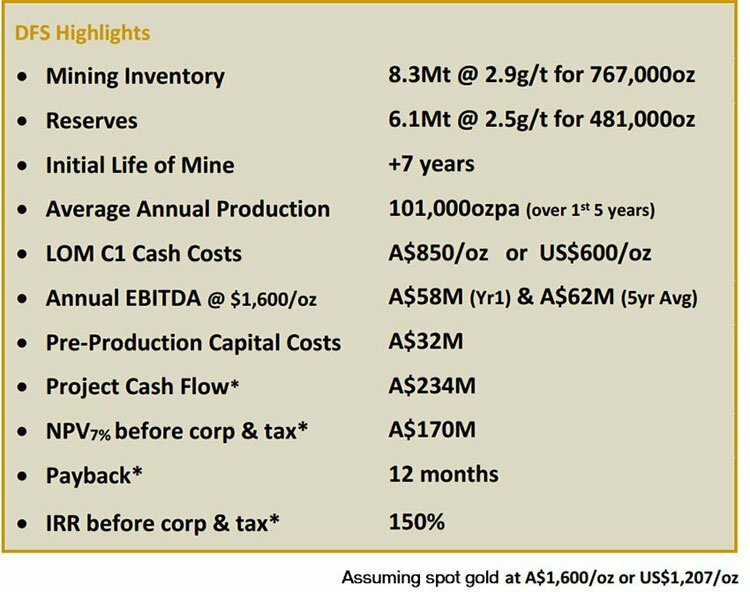 Every $100/oz increase in the gold price adds roughly $63 million to BLK’s cash flow. Now that is what we call leveraging yourself to a future upturn in gold prices. However at the same time, gold prices do fluctuate and just like any other resource company, BLK’s fortunes will fluctuate with it, so don’t assume the above economic forecasts for BLK are a guarantee. Both seasoned and novice investors are likely to be asking the same question: What about the cost? BLK’s costs of getting into production and then to keep producing for the next 7-10 years are very conducive to making a strong margin at Matilda – which also helps to explain the 12 month payback estimate. Matilda’s C1 cash costs and cash operating costs (AISC-all in sustaining) are forecast to be $850/oz. and $1,160/oz. with an underlying gold price of $1,600/oz. 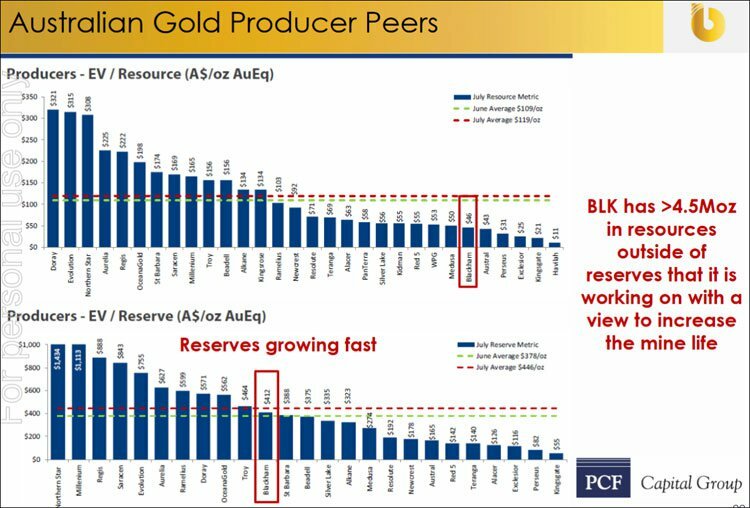 When compared to its peers, BLK is leading the peloton of gold production in Australia. From an EV/Resource perspective BLK has a production cost of around $20/oz. From an EV/Reserve perspective, BLK is averaging around $138/oz. which is again better than average and nestles BLK into good competitive company once production begins. As many readers of The Next Mining Boom will know, we like to go the whole hog when considering a stock; which is why we usually look for solid peer comparisons. In this case we found one which compared BLK to the nearest two gold production rivals currently vying to become Australia’s next gold producer. Sorry guys, but BLK got here first – and will pay back its upfront costs much quicker too. 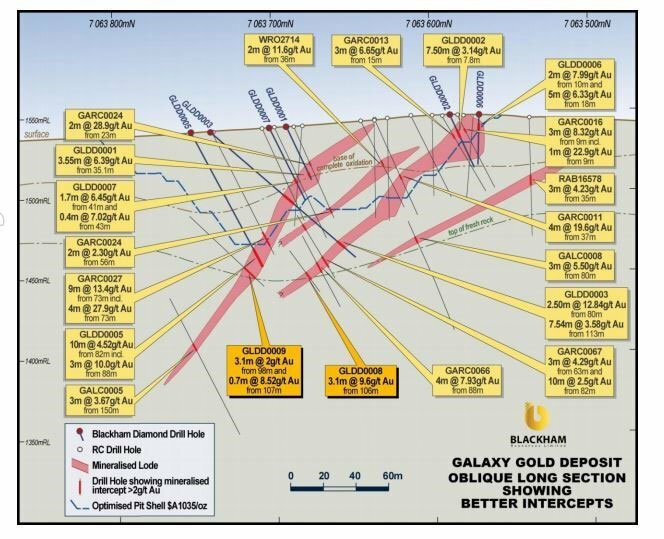 BLK’s development spend, ongoing cost and infrastructure position is superior to its nearest rivals, Gold Road Resources (ASX:GOR) and Dacian Gold (ASX:DCN), who are both much larger from a market cap perspective with GOR currently capped at around A$360MN and DCN at $210MN respectively. BLK is currently capped at less than A$100MN – can BLK’s valuation catch-up to these guys given it will go into production first? BLK’s investors are certainly hoping so. As part of our checklist when eyeing up a stock, we always like to see what equity analysts are saying. Their views can offer an alternative perspective which is always a good thing for investors, however at the same time – they don’t have crystal balls and cannot predict the future with 100% certainty – so don’t just make an investment decision based on analyst reports alone. First off, we took notice of Hedley Widdup, Executive Director at Lion Selection Group who gave a speech at one of the biggest mining expos in the world last year. His view is that mining investors should be focusing on mid-tier gold producers with superior project economics that play into the counter-cyclical nature of commodity markets. His call on junior/mid-tier gold producers seems to be playing out as expected – with the added bonus of gold priced in Aussie dollars also lending a hand. These days any resource junior would love any help they can get. From the equity research field, Tim McCormack and Reg Spencer from Canaccord Genuity published a research report merely days ago that sees BLK’s recent DFS as a key catalyst with its project economics standing out like a sore thumb to them, as it did to us. Once again, analyst price targets are no guarantee to come true – so don’t only consider this price target if considering an investment in BLK – please do your own research and consider your own personal circumstances before making an investment decision. Last but not least, The Sophisticated Investor put out an update video summarising the impact of BLK’s recent DFS . The Sophisticated Investor’s valuation has been revised to $0.80 per share. Again, analyst price targets are no guarantee so make sure you do your own research or seek advice before choosing to invest. Most of the third party commentary we’ve come across like this stock, the industry niche it’s focusing on and also the gold priced in Australian dollars connection. BLK has done what it said on the tin a few years back. Now with its DFS complete, and production on the horizon, its future plans are very straightforward. BLK intends to commence production with a low risk start-up with soft free milling ore used to repay debt. 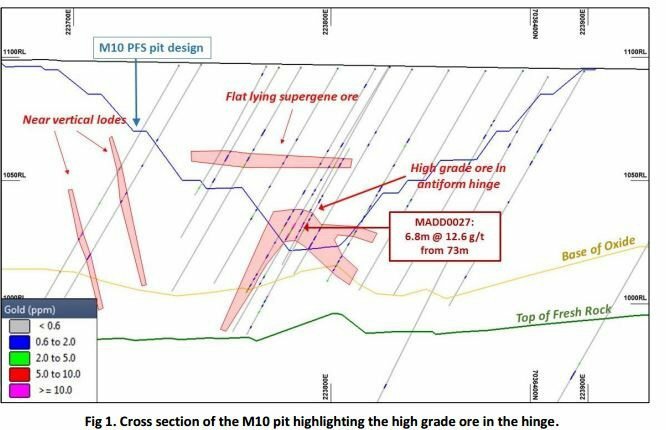 Ongoing exploration at both Matilda and its other project sites will continue unabated and will likely be included in a DFS update prior to production commencing. This could potentially mean BLK expands its Resource further later this year or extends its Matilda mine life from 7 to 10 years. 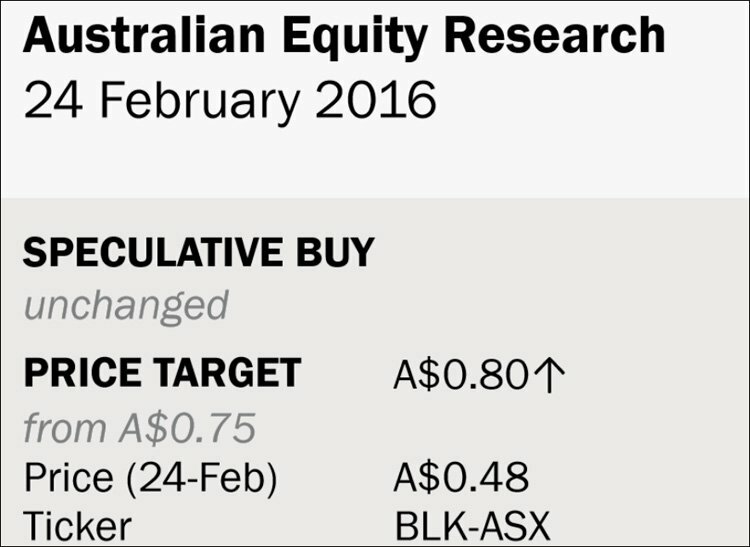 Either bit of news could serve as a strong price catalyst for BLK’s stock beyond its imminent first gold pour. Remember, however, that potential news is not yet reality and it is best to seek professional advice when considering this stock for your portfolio. One sweet dollop of news we saved till last is the fact that BLK could also be generating cash flow from its Sulphides deposits that have been detected (and measured) as part of ongoing exploration at Matilda. BLK says there’s a strong prospect of high grade Wiluna sulphides adding to cash flow and BLK’s DFS says that Matilda holds about 22Mt of the stuff – which works out to 3.3Moz @ 4.6g/t after processing. 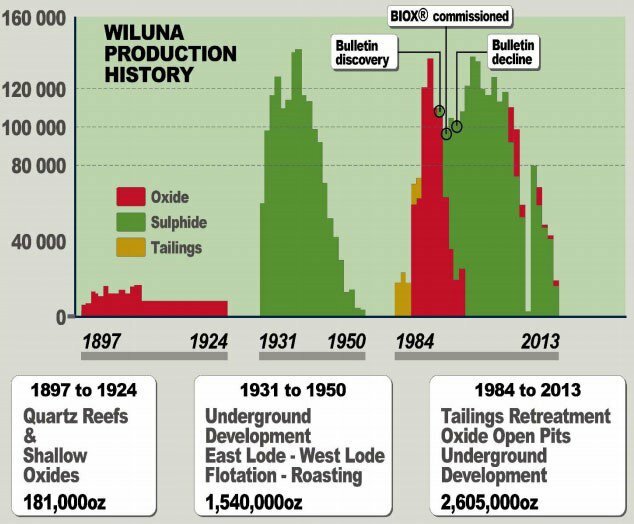 Here’s an illustration of historical production activity at Matilda, with sulphides clearly a significant commercial driver over the years. Matilda has given birth to over 4.3 million ounces of gold throughout its illustrious history going back almost to the Kalgoorlie Gold Rush days at the turn of the Century. During the 1930’s Wiluna was a bigger gold mining town than Kalgoorlie. 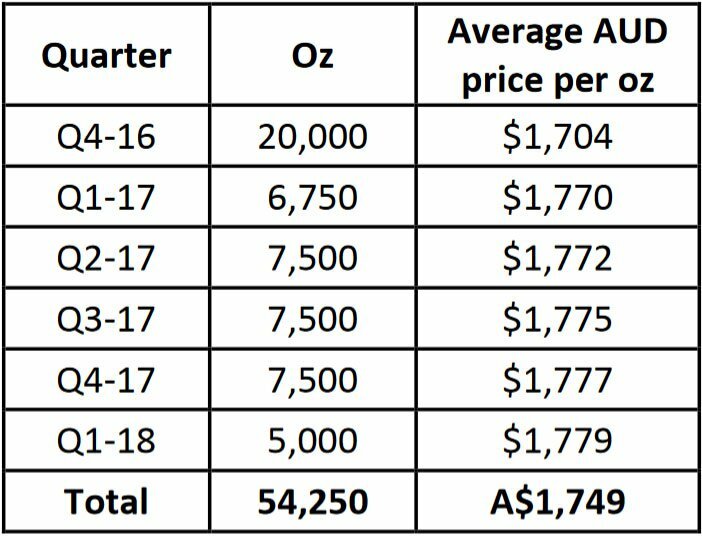 BLK has made a strong case to become Australia’s next gold producer, with 100,000oz lined up for production starting later this year. With gold prices now starting to get some support in tandem with BLK’s strong progress on exploration, Australia’s next producer is walking into a favourable market landscape that is geared for efficient gold producers with low-cost production and some entrepreneurial sense. We are looking forward to that first gold being poured!